If you want to learn how to make vanilla extract at home, but are intimidated by the process, it’s your lucky day! Let me be the first to tell you that not only is it very easy to make, but it’s much cheaper than store bought pure vanilla extract, and only requires a few ingredients. Overall, it ranks pretty highly on the awesomeness scale. Making vanilla extract yourself is not only incredibly simple, but it also yields absolutely delicious results. Honestly, I can’t believe that I ever even considered purchasing disgusting imitation vanilla extract. I’m ashamed even thinking about it. It’s just that I thought that the “pure vanilla extract” was so expensive for such a tiny bottle. Well let me tell you, I’m never going to run out. Ever. 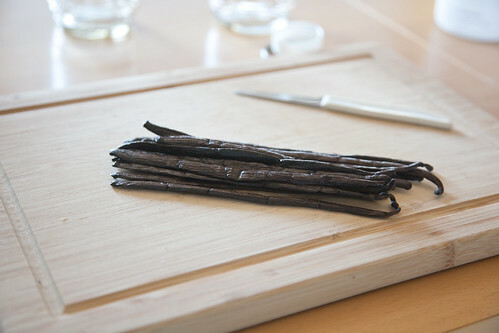 You will need at least 3-4 beans per cup of vanilla extract that you intend to make. I should warn you that the smell of vanilla beans is to die for; it really is intoxicating. 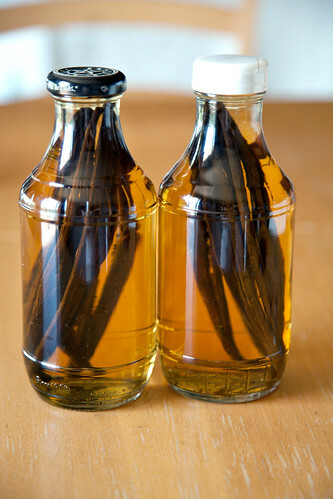 If you’re still not sure you want to make vanilla extract yourself, I say you should do it just to smell the delicious aroma of freshly cut vanilla beans. Aah. I’m glad that I have a few left over so that I can just open the bag and smell them occasionally. This will make 4 cups of extract. When you’re ready, leave the ends of the beans in tact, and cut a slit through the center of each one. Then turn the bean one quarter rotation, and slice through it again. This will help the flavors to infuse really well. 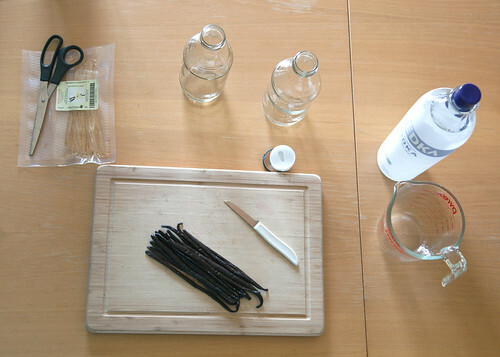 Once you’ve sliced all of your vanilla beans, put them into your clean glass jars and add 1 cup of vodka for every 3-4 beans. Voila! You now have vanilla extract. Once you’ve completed this process, the only thing left to do is be patient. Your vanilla must sit for 2 months before it’s ready. Gently shake them once every week or two. It will get darker as time goes on. Once it’s ready to be used, you can simply add more vodka to replenish your supply! If you’d like, you can even print out cute labels for your jars, like this one! These are especially great for when you give some of your vanilla extract as a gift, or share it with friends. I put them on my jars too, just because I think they’re so darn cute! Now, time to get baking!